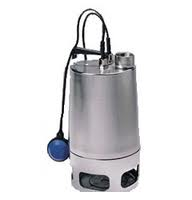 Home » Catalog » Grundfos Pumps » Grundfos Submersible Pump.. » Grundfos Unilift AP35 &am.. The AP pumps are the KP range’s larger cousins. They share many of the same benefits, but the AP pumps are designed for more demanding wastewater tasks, like groundwater lowering and black water work. The AP range is renowned for its reliable performance and low maintenance level.